Alberta Environment and Parks has consulted with Bow River Trout as a stakeholder in recreational river use with a proposed AEP Bow River Access Plan (BRAP). The scope of the consultation is from Ghost Reservoir to Carseland, with a priority on river access below Calgary. 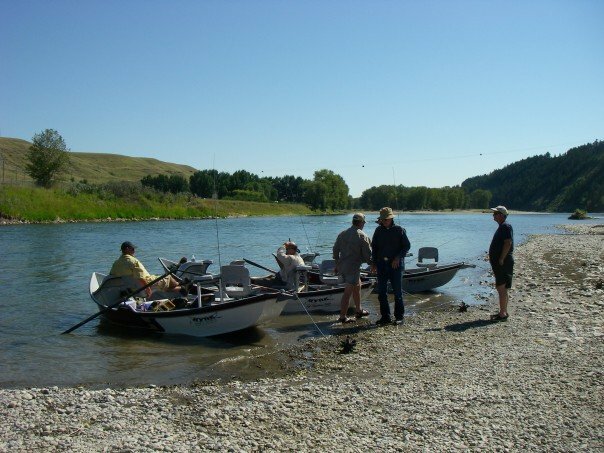 BRAP will align closely with Calgary’s River Access Strategy (RAS) to give the fishing community a variety of opportunities to float and fish the entire Bow River below Harvie Passage. Increasing the number of river access points on the Bow River will alleviate the concentration of drift boat traffic on the Policeman’s Flats to McKinnon’s Flats reach of the Bow River. What we would like to know are the current use patterns and when new sites are made available will they get used. Please complete the following poll to assist our engagement with government agencies. I would love to see the washed out berm launch at Carseland be replaced and the current above the weir launch repaired. The location south of deer foot on west side of bow. On Bow Bottom trail. It was washed out by the flood. Great area and is used lots.